Abu Dhabi: Aabar Investments has offered to acquire 70 per cent of construction major Arabtec through a Dh6.4 billion mandatory convertible bond at a conversion price of Dh2.3 per share, Aabar's CEO said on Saturday. "Arabtec is the largest construction company in the Middle East and we think it provides strong synergies with our other portfolio of investments we have in the real estate," Mohammad Badawi Al Hussaini said by telephone. "This offer is subject to approval by shareholders in an EGM [extraordinary general meeting] at Arabtec and is also subject to the consent of government regulatory authorities," he added. "Conversion date is expected to occur within three months of obtaining all the necessary approvals." In an earlier statement on its website, Aabar said its board had met on January 7 and resolved to make an offer to Arabtec to acquire 70 per cent of its share capital by way of a mandatory convertible bond. Shares of Aabar rose 5.24 per cent on Thursday to Dh2.47 in anticipation of the deal. On March 22 last year, Aabar acquired 9.1 per cent of the share capital of Daimler, a German automotive manufacturer and the maker of Mercedes Benz cars. It also purchased 40 per cent of Daimler's equity in electric carmaker Tesla Motors, marking the start of their first joint strategic project with Daimler. Aabar said in July it will pay around $280 million to acquire a 32 per cent equity stake in the US-based Virgin Galactic the world's first commercial spaceline owned by Sir Richard Branson's Virgin Group that plans to send non-astronauts into space beginning in 2011. Aabar said at the time it had valued the Virgin Galactic business at about $900 million. In addition, Aabar said it had committed $100 million (plus transaction cost) to fund a small satellite launch capability. It will also gain exclusive regional rights to host Virgin Galactic tourism and scientific research space flights. Aabar also plans to build spaceport facilities in Abu Dhabi. In October, Aabar said it had acquired a minority stake for about $328 million in Banco Santander (Brasil). In November, Aabar Investments and Daimler AG said they are set to acquire a majority shareholding in Brawn GP, winner of the 2009 Formula 1 constructors' and drivers' championships. The new Mercedes Grand Prix racing team will compete in the 2010 Formula 1 World Championship. 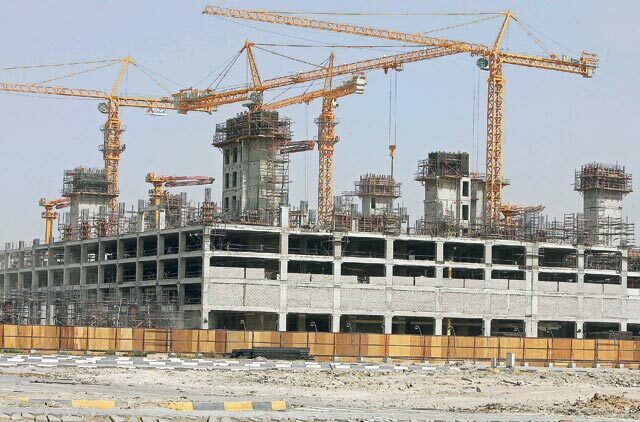 In November 2008, Aabar said it had signed a purchase agreement with Tasameem Real Estate to acquire two residential land plots in Abu Dhabi's Al Raha development area for an aggregate price of Dh587.6 million. Abu Dhabi Aabar Investments is an investment company headquartered in Abu Dhabi. It is listed on the Abu Dhabi Securities Exchange. Aabar directly invests in various sectors including energy, infrastructure, real estate, automotive and financial services. Its largest stakeholder is the International Petroleum Investment Company (Ipic), which is wholly owned by the Abu Dhabu Government. Last year, Aabar's book value per share increased from Dh3.50 in the second quarter, to Dh3.97 in the third quarter. Aabar's shareholder equity increased from Dh10.93 billion in the second quarter to Dh12.41 billion in the third quarter and the financial statement from the company shows a net profit of Dh1.47 billion in the third quarter of 2009. Aabar Investments is an investment company headquartered in Abu Dhabi. It is listed on the Abu Dhabi Securities Exchange. Its largest stakeholder is the International Petroleum Investment Company (Ipic), which is wholly owned by the Abu Dhabu Government. Last year, Aabar’s book value per share increased from Dh3.50 in the second quarter, to Dh3.97 in the third quarter. Aabar’s shareholder equity increased from Dh10.93 billion in the second quarter to Dh12.41 billion in the third quarter and the financial statement from the company shows a net profit of Dh1.47 billion in the third quarter of 2009.